250ml tin of Quickshade Dark Tone. 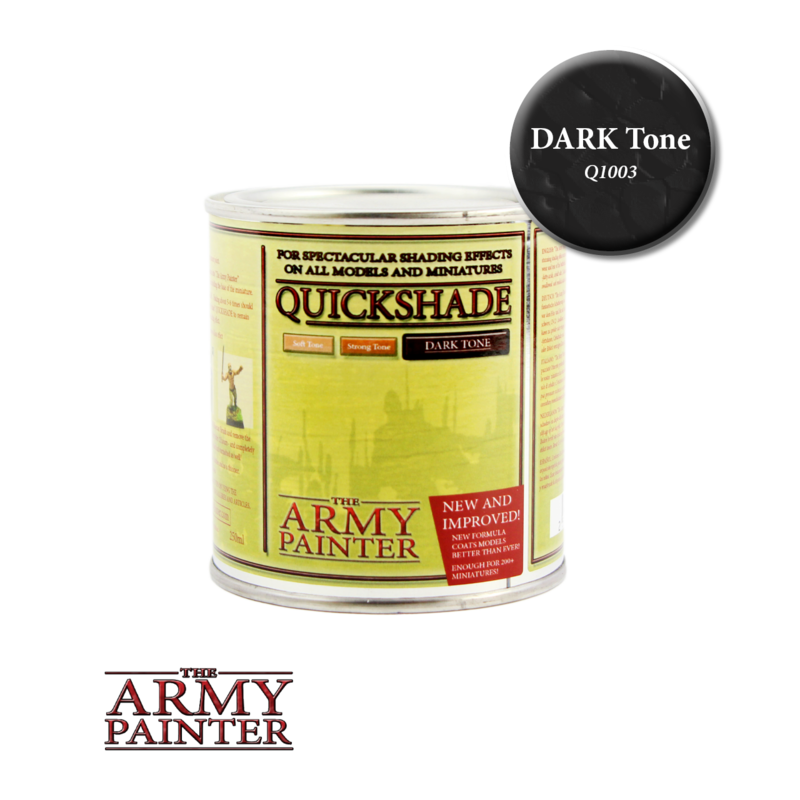 Quickshade Dark Tone is the ultimate shading for metal colours as it uses black pigment instead of brown, creating a very fine black shading on your models. Dark Tone is also superb for models needing a sharp contrast such as tanks, robots, chaotic beings and knights. Great for shading your terrain projects too!